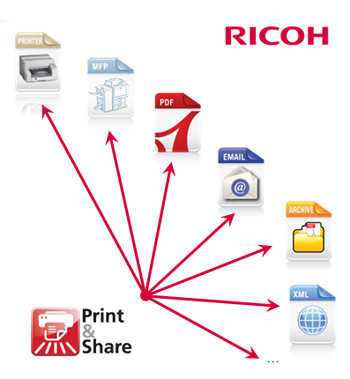 Ricoh Print&Share is a combination of a virtual printer driver and an application software. This printer driver can be installed alongside the classic printer driver of the printer manufacturer. The classic printer driver functions acts as a translator/interpreter between Windows 'language' on your pc and printer 'language'. The virtual printer, on the other hand, functions more as a tool to execute your tasks. In other words: the virtual printer driver functions as a buffer between your computer and your ordinary printer driver, and it allows you to perform more advanced tasks with your print job. Print&Share is a multi-fuctional, multi-channeled and intelligent virtual printer driver with many useful tools. The eco features reduce print costs by saving paper, ink or toner and help the environment at the same time. Print is the standard functionality and most frequently used feature of Print&Share. A print job of an application remains a print job for Print&Share. It can split up the print job and use different source trays for certain parts of the print job. Converts a print job to an email message and specify a general email message per language. The print job will appear in the form of an automatically created PDF file or picture that is attached to the email body. The email address can be automatically generated by a recognition value of the print job. Print&Share can create the legal PDF/A-1b (ISO 19005-1:2005). Metadata (XMP, PDF file and summary file information) can be inserted by recognition. You can convert print jobs to a file (PDF, BMP, JPG, EMF, TIFF). Archiving to a NAS, DMS or shared network folder has never been easier. With the Get More Editor, you can insert features like watermarks, text, logos, page, role and leaf numbers. You can reformat values, add barcodes, insert additional fields from databases. It is also possible to replace text objects in the composition. All of this is based on recognition values of the print job. The printer driver has got a parallel cascade workflow output and you can build more complex solutions via a serial workflow which is the execution of a sequence of profiles. 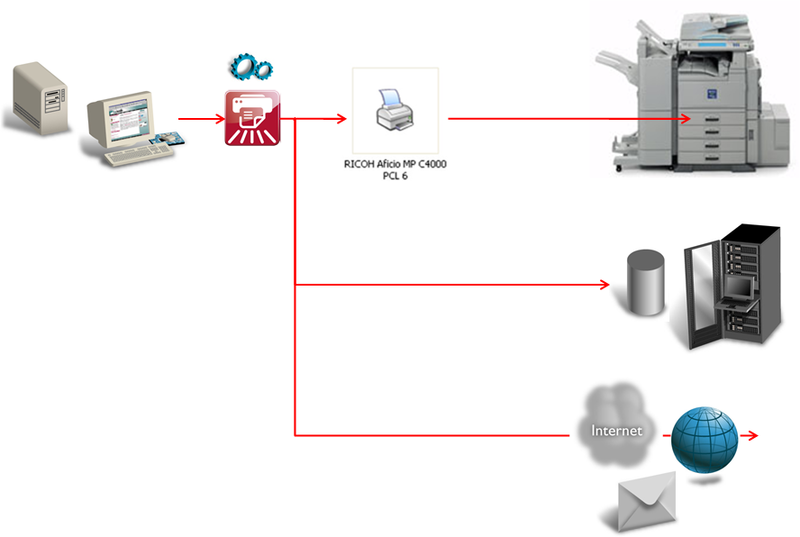 Print on multiple printers via one channel, determine conditions for an automatic start of a profile, insert documents from a DMS and start post actions. One print job that contains several letters can be split into separate transmissions. After splitting a print job into several documents you can sort and recombine individual documents to a group of documents with identical information. Print&Share can remove pages or white space between text to further reduce paper. Save up to 90% of your time spent customizing and distributing your documents to multiple destinations. 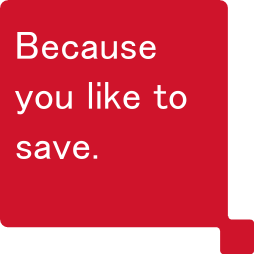 Ricoh's Print&Share printer driver helps reduce paper use, avoid waste and reduce CO2 emissions with one click. It also helps to eliminate unwanted prints, such as pages that contain only a URL, optimise line spacing, and to remove unnecessary content such as email signatures or disclaimers, all with the purpose of condensing print to fewer sheets. The Print&Share printer driver is compatible with all Ricoh MFPs and printers. The White Space Merging feature allows Print&Share to calculate the white space on the current page and the print coverage on the next page. Depending of the result, Print&Share will combine the pages to save paper. With this eco feature you can combine multiple pages onto one sheet of paper. This helps reducing the amount of paper that you use and eliminates paper waste. Read Learn more about this feature. Print&Share can remove content dynamically. Typical examples of text to remove from email printouts are signatures and legal texts of the footer. Removing headers and footers can be done automatically to save paper and ink.